How accurate is Punxsutawney Phil? How accurate can we expect the legendary groundhog to be for 2013? Early spring? Late winter? Or what? How accurate is Punxsutawney Phil? I am all for a meteorological holiday that celebrates weather or weather pattern changes, but are we going overboard? Should we listen to a groundhog to predict our late winter forecast? Get nervous Punxsutawney Phil, the pressure is all on you now! According to groundhog.org, Punxsutawney Phil has seen his shadow 100 out of 116 times. Back in the late 1800s, there was a lull in activity regarding the groundhog’s schedule where there was no report. By 1900, the tradition officially began and we’ve been wondering since then if this lovely creature will see his shadow. Last year, Punxsutawney Phil did a horrible job “forecasting” our pattern when he did see his shadow, thus giving us “six more weeks of winter.” In reality, that never occurred as the contiguous United States had its fourth warmest winter on record. In fact, February 2012 provided the contiguous U.S. widespread warmer-than-average temperatures with twenty-seven states in the Northern Plains, Midwest, Southeast and Northeast having winter temperatures ranked among their ten warmest. The official website of this friendly groundhog states that Punxsutawney Phil has predictions that are accurate “100% of the time, of course!” However, I guess we will ignore last year’s failure and pretend it never happened! According to Stormfax.com, Punxsutawney Phil has only been correct approximately 39% of the time. Of course, long range forecasts can be difficult to predict for the human forecaster. For example, the 2012-2013 winter outlook for the United States was supposed to have equal chances to see a wet/dry and cold/warm winter as the lack of an El Niño and La Niña made the forecast rather difficult to predict. As of February 1, 2013, 49% of the United States is covered in snowfall. 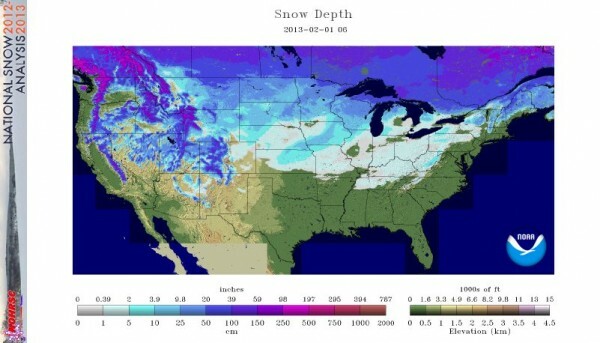 At this time in 2012, only 19.2% of the nation had snow. So with regard to winter activity, 2013 has definitely been a better snow-maker than 2012. 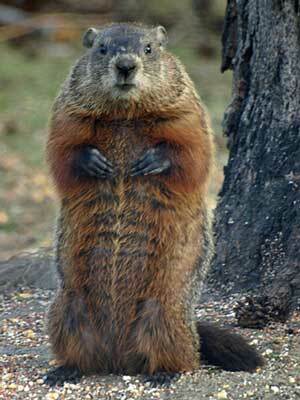 For most winters, everyone typically hopes Phil does not see his shadow in hopes of an early spring. But this year, it seems like many places haven’t had their average snowfall for the winter, so many people might be hoping Phil will see his shadow. It might become a celebration for the skiing resorts if Phil does see his shadow, which statistically, has happened roughly 87% of the time. Here’s another question to ask: Can we be more specific? For instance, there are multiple we groundhogs in various states that get used to predict whether we’ll see an early spring. Shouldn’t we have one designated groundhog named Punxsutawney Phil to make it official? I mean, that’s not a polite way to treat Phil! If meteorologists use various silly “numbers” that rate your weather day or use random tornado indexes, then mass confusion would occur. We need one set of rules, and Phil should be the official one. Right? Also, how do we define “long winter”? In March of 1993, spring arrived early with extremely warm temperatures. Little did we know, a monster “Storm of the Century” would create severe weather across the southern states and blizzard conditions for portions of Birmingham, Atlanta, and points northward. Does a one/two day blizzard and a return to warm weather constitute the definition of a long winter? In my opinion, it should be defined as colder than normal temperatures with a greater increase in snow chances. Of course, if the east coast is experiencing cold and snowy weather, the west coast of the United States is likely experiencing ridging and warm/dry conditions. Climate Prediction Center believes the month of February will provide the southern U.S. better chances of seeing above average temperatures. 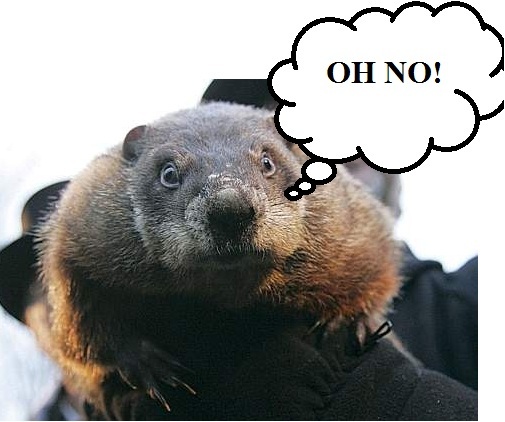 I am expecting cloudy and snowy conditions on February 2, 2013 for Phil in Punxsutawney, Pennsylvania, so there’s a good chance he might not see his shadow. Of course, I still wonder how they know whether or not a groundhog can actually see it’s shadow. Think about it! In a meteorological standpoint, spring begins on March 1, 2013. Looking at long range weather models, which are typically inaccurate after seven days, it looks like the Northeast and the Pacific Northwest in the U.S. could stay cold (below normal temperatures) for a good bit of February. Meanwhile, the southern United States will likely experience temperatures at or slightly above normal for the rest of February. Bottom line: Punxsutawney Phil has had a 39% accuracy rate regarding his early spring/late winter forecasts. Phil has seen his shadow nearly 87% of the time, so the odds are for six more weeks of winter. 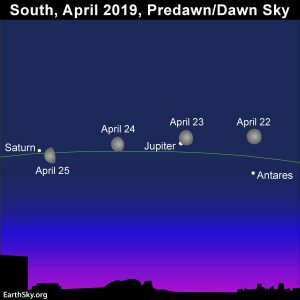 However, cloudy and snowy conditions will occur on this day, which could increase the chances for Phil to not see his shadow and bring us an early spring. No one should rely on a groundhog to predict the remainder of this winter. After all, he did not got it right last year. Maybe he’ll ace it this year? So on February 2: Happy Groundhog Day 2013! 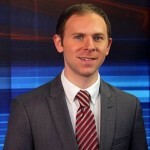 Matt Daniel is weekend Meteorologist for 13WMAZ (CBS) in Macon, Georgia, and founder of the blog Athens GA Weather. 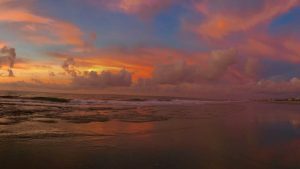 He's a self-described "big weather and music geek" and has produced weather content for CNN, MSN Weather and EarthSky. He has a passion for helping to keep people safe when severe weather strikes and says if you don't have a NOAA Weather Radio ... you should get one.